Every so often, one witnesses an event that is simply pure unadulterated fun! It may involve church folk, but it has no religious significance other than God’s people enjoying each other’s company. 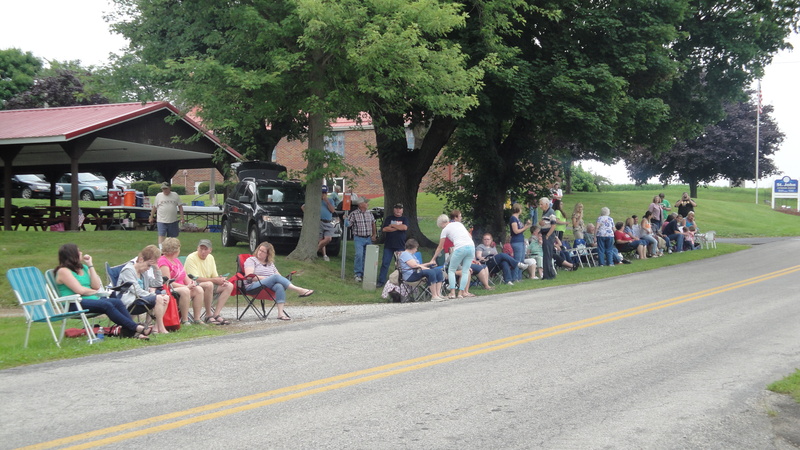 Such was the annual Dogtown Fourth of July parade, held on Sunday, July 5, in McZena, Ohio. You would have a hard time finding McZena on a map. It is officially labeled a village of Lakeville, and covers an area of 1.166 square miles with a population of 27. In fact, it was once said that there were more dogs than people in McZena. Hence, the Dogtown parade. 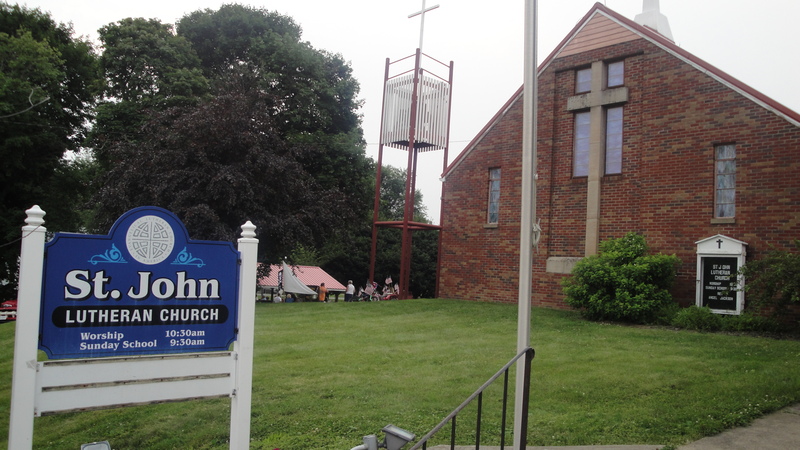 But in this little patch of God’s earth, you will find St. John’s Evangelical Lutheran Church, where several years ago, some church members were bothered that there was no nearby Fourth of July parade in neighboring larger towns, so they created their own. And it has become a small-town classic. All the church members get involved in one way or another. The parade is replete with floats, a harvester, cyclists, Santa Claus, and a cast of…well, dozens! Although no official count is taken, the participants and attendees number over 200, (including the Bishop). The parade lasts about ten minutes, so if you get there late, you may miss it. But the potluck that follows lasts well into the night. 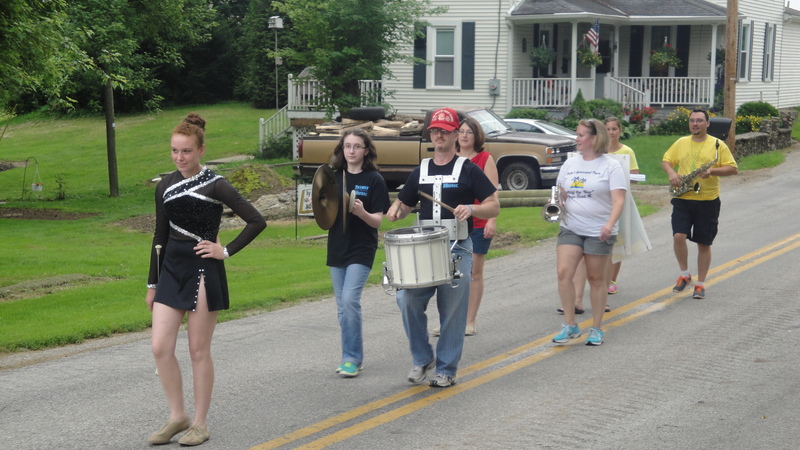 One of this year’s highlights was the marching band, made up of former Tri-Way High School students who returned home for the event and borrowed instruments from the band director, who also happens to be a member of St. John’s. In this day and age when enduring traditions are challenged by the novelty of contemporary society, it is refreshing to see people laughing at themselves and their seemingly old-fashioned ways. It builds community. There is a sense of togetherness and trust that happens naturally and genuinely. It is healthy. It is enjoyable. It is why God created humanity. Glad you were able to stop by and see it! I didn’t get a chance to visit while you were there I was chasing kids 😉 We had the horse and cart! Thank you for the invitation! I had a blast. What a wonderful article about the Dogtown Parade. Glad you enjoyed it and hope you come again. I usually write longer posts. But in this case, the pictures told the story. Thanks for inviting me.